. 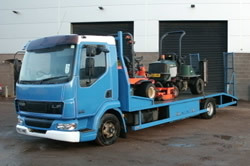 : Welcome to R&M Greenkeepers - Grounds Maintenance :. 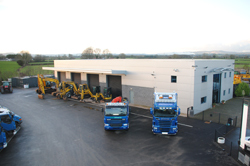 The company currently has 16 teams dedicated to grounds maintenance; our services include grass cutting, hedge trimming, weed control, earth moving, ground preparation, ice and snow removal and total site tidy ups. R&M Greenkeepers have a reputation for successfully fulflilling clients demands and are recognised as industry leaders in commercial and private grounds maintenance. The company has a solid base of long-term clients including the Housing Executive, D epartment of the Environment, NIE Powerteam, Northern Ireland Electric and other local authorities. We offer individuals in all aspects of landscaping who are highly trained in accordance to industry standards including National Proficiency Test Certificates, Construction Industry Training Board, European Arborist Council directives and St. Johns Ambulance. R&M actively liaises with clients to achieve a level of service, which goes beyond reasonable standards; this is achieved by regular reports, meetings, inspections and the collation of feedback from all members of the team. 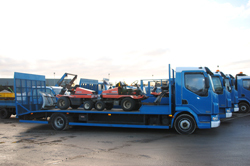 Our company have at our dispense all necessary equipment to deal with any situation, be it big or small, ranging from pedestrian mowers, ride on mowers, diggers, dumpers and all types of lorries, tippers, beavertails, gritters and snow ploughs. 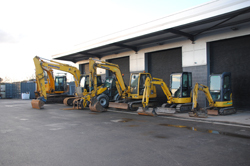 The company is OHSAS 18001:2007 UKAS certified, a health and safety management system. The expertise required in this area is an asset to the whole team and this ensures all aspects of contracts will be considered and appropriate consultation with the team will ensure an effective safe system of working will be deployed. The company is also ISO 9001 accredited and currently has internal audits and inspection with regard to quality. This has led to improved standards for all parties concerned and the continual review process will be of benefit to all team members. 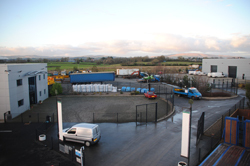 The company is also ISO 14001:2004 UKAS accredited, ensuring compliance with all environmental issues.